Since the vague reference to it in the State of the Union and the subsequent report by the New York Times, the neuro-sphere has been abuzz with debate recently over the proposed Brain Activity Map (BAM) project put forth by the Obama administration. While the details have not been formally announced yet, it is generally agreed upon that the project will be a ten-year, 3 billion-dollar initiative organized primarily by the Office of Science and Technology Policy with participation from the NSF, NIH, and DoD along with some private institutions. The goal is to coordinate a large-scale effort to create a full mapping of brain activity, down to the level of individual cell firing. It has been likened to the Human Genome project, both in size and in potential to change our understanding of ourselves. But, while optimism regarding the power of ambitious scientific endeavors shouldn’t be discouraged (I’m no enemy to “Big Science”), it is important to ask what we really expect to get out of this venture. Let’s start with the scientific goals themselves. What is actually meant by “mapping brain activity”? The idea for this project is supposedly based on a paper published in Neuron in June (which itself stemmed from a meeting hosted by the Kavli Foundation). In it, the authors express the desire to capture every action potential from every cell in a circuit, over timescales “on which behavioral output, or mental states, occur.” This proposal is very well-intentioned, but equally vague. Yes, most any neuroscientist would love to know the activity of every cell at all times. And by focusing on activity we know that incidental features like neurotransmitters used or cell size and shape won’t be of much importance. But when enlisting hordes of neuroscientists to dedicate themselves to a collective effort, desired outcomes need to be made explicit. What, for example, is meant by a circuit? The authors give examples suggesting that anatomical divisions would be the defining lines (like focusing on the medulla of the fly). But given the importance of inter-area connections for computations, anatomical divisions aren’t always the best option for identifying and understanding a circuit with a specific purpose. Next, we have the notion of collecting data over the course of behavioral outputs or mental states. Putting aside the blatant opacity of these terms, there remains the question of what kind of ‘mental states’ and ‘behavioral outputs’ we want to measure. Is the desire to get a snapshot of the brain in some kind of ‘null state’ and then compare that to activity patterns that occur during specific tasks? But which tasks? And how many? Furthermore, the higher the complexity of the species and the task at hand, the more likely there are to be individual differences in the activity maps across animals. Whether or not taking the average appropriately captures the function of individual circuits is debatable. Finally, even the conceptually simple goal of recording every action potential is open to interpretation. Do we want actual waveforms? Most people consider spike times to be the bread and butter of any activity measure, but that still leaves open the question of how much temporal precision we desire. All of these seemingly minor details can have a large impact on experimental design and technique. Assuming, however, that all these details are sorted out (as they must be), we’re then left grappling with our expectations over what this data will mean. A quick poll of the media might have you believe that a BAM is akin to a mental illness panacea, a blueprint for our cyborg future, and the answer to whether or not we have a soul. Most in the field are, thankfully, less starry-eyed. To us, a record of every cell’s activity will result in…a lot of data, and thus, the need to develop tools to understand that data. This will boost the demand for theoretical models that attempt to account for how the dynamics of neural activity can implement information processing. As the dataset of activity patterns increases, the more constrained, and presumably more accurate, these models will become. Ideally, this will eventually lead to an understanding of the mechanisms by which brains process inputs and produce outputs. Acknowledging this more sober goal as the true potential outcome of the BAM project, some neuroscientists feel that the loftier promises made by those outside the field (and even some within) are dishonest and, in a sense, manipulative. The fact is the acquisition of this data does not guarantee our understanding of it, and our understanding of it does not ensure the immediate production of tangible benefits to society. To make a direct link between this project and a cure for Parkinson’s or the advent of downloadable memories is fraudulent. These are not the immediate goals. But science is of course a cumulative process, and the more we understand about the brain the better equipped we are to pursue avenues to treat and enhance it. The creation of a BAM is, I believe, a good approach to advance that understanding and thus has the potential to be very beneficial. Transparency is a non-trivial skill when attempting to image the whole brain. But even if the anticipated long-term and philosophical results of Obama administration’s project are hazy, there are some more concrete benefits expected to come out of it: mainly, advances in all kinds of technologies. The notion that the government sinking large sums of money into a scientific endeavor leads to economic and technological progress is well-agreed upon and fairly well-supported. And the nature of this project indicates it could have an effect on a wide variety of fields. Google, Qualcomm, and Microsoft have already been cited as potential partners in the effort to manage the astronomical amounts of data this work would create. The NYT article cites an explicit desire to invest in nanoscience research, potentially as a new avenue for creating voltage indicators. Optics is also a huge component to this task, so advances in microscopy are a necessity. 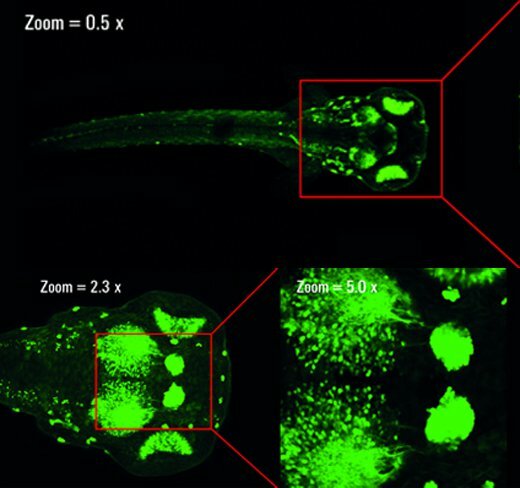 Furthermore, techniques currently in use tend to utilize animal-specific properties that make them not translatable to other species (such as the fact that zebrafish can be made to be transparent and we, currently, cannot). So if this really is to be a human brain activity map (as the government seems to suggest) a whole new level of non-invasive imaging techniques will need to be devised. Another potential solution to that problem, as the Neuron article suggests, requires investment in the development of synthetic biological markers that may not rely on imaging in order to record neural activity. In another vein, the article also makes a point of defending the notion that all data obtained should be made publicly available. This project might then have the added benefit of advancing the open access cause and spurring new technologies for public data sharing. Overall, it is important to take a realistic view on what to expect from a project of this magnitude and ambition. It can be tempting, as it frequently is with studies of the brain especially, to overstate or romanticize the potential results and implications. On the whole this benefits no one. What’s important is finding the right level of realistic optimism that recognizes the importance of the work, even without attaching to it the more grandiose expectations. Furthermore, a safe bet can be made on the fact that if this project comes to fruition, the work itself will have some immediate tangential benefits (economic and technological) and produce unforeseeable ripples in many fields for years to come. Remember when Sarah Palin was scaremongering about ‘mice with fully functional human brains’? I just hope, for the sake of poetic justice, that if such a thing ever does happen, it will be as a result of Obama’s project.